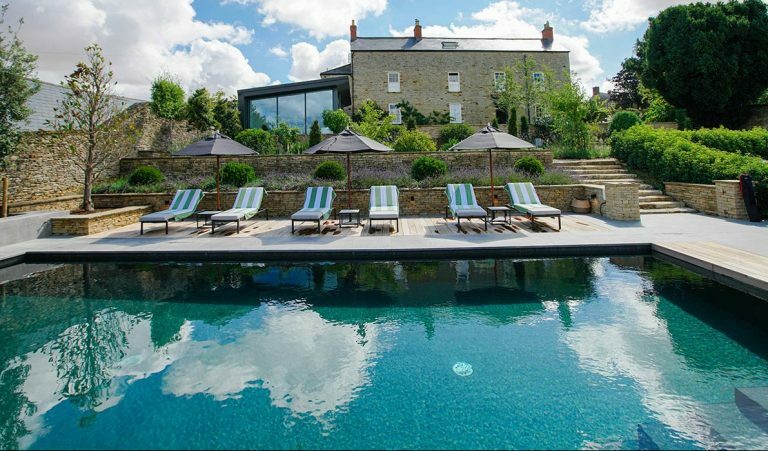 In the last 50 years the UK has seen a boom in the construction of domestic swimming pools. Since the 70’s people have been building garden pools designed to capture the feel of exotic holidays abroad. Bright turquoise water colours created by plastic pool liners or cheap mosaics have been the standard finishing method for these pools in order to achieve the feeling of paradise. However, when the overcast reality of British weather sets in, your ‘mediterranean retreat’ starts to look slightly less inviting and a little bit tired. Unfortunately, it’s taken us until fairly recently to accept that the tropical look doesn’t quite work in the home counties. 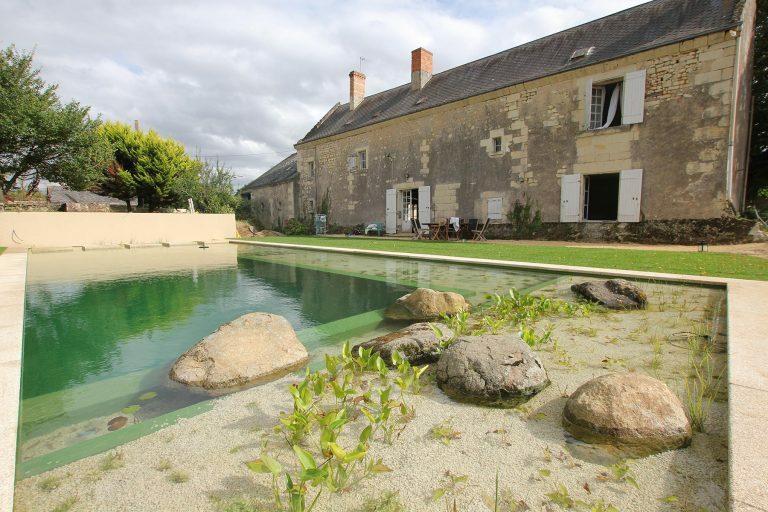 The good news is that many of these swimming pools can be brought to life and redesigned to become far more tasteful additions to their subtle surroundings. 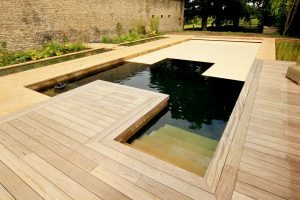 Refurbishing your old swimming pool with high quality, natural materials and upgraded technology can refresh a dilapidated swimming pool and turn it into a stunning water feature with added functionality and far lower running costs. This blog identifies some effective ideas and best practices for pool refurbishment. Identifying the condition of your pool shell structure is the first thing should be done before renovating a pool to determine the level of construction work (if any) required and also the best renovation method. You may be able to use the existing pool shell and replace the finishes, however if the shell structure is in poor condition you will need to assess whether it’s worth trying to repair it or whether to start from scratch by casting a new structure within the existing shell or removing the shell and starting again. This can be difficult to do without draining the swimming pool (draining the pool should always be done by an expert unless you have been trained to do so) and it may be that an invasive survey is required in order to expose the shell structure to find out what is happening behind the pool finishes. The further you go with an initial survey, the lower the risk of surprises during the construction phase. However, de-risking the project completely will require more upfront survey costs. Quick tip: Lift up a coping stone to expose the top of the pool shell. You’ll be able to measure the shell thickness and sometimes identify the construction method. 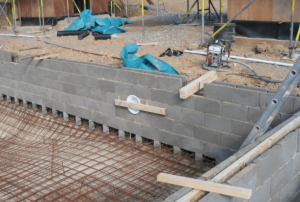 Concrete pools shells are generally the most robust type of structure and usually you are looking for a minimum of 200mm shell thickness if you are considering tiling the pool. When refurbishing a swimming pool there are plenty of opportunities to improve the performance and efficiency of the pool. Older pools which use outdated equipment for filtration and heating are usually quite costly to run. There can also be scope to improve the hydraulic performance of your swimming pool using better placement and specification of flow and return fittings. It’s always best to assess the existing hydraulic design and the pool’s equipment as this is a good time to swap out anything that will hinder the performance of the pool. A sensible upgrade in technology will pay for itself over time as the yearly running cost savings associated with low energy equipment and efficient hydraulic design will eventually outweigh the cost of replacement. The extent to which you go with this will depend on how long you intend to be at the property as the payback may take 10 or 15 years after your pool refurbishment for more expensive items whereas lower cost upgrades may give you a payback in 2 or 3 years. Have a swimming pool specialist inspect your existing equipment and then make your own judgement on which upgrades will be worth the initial outlay once they have presented you with the options. Remember that running costs aren’t the only thing to consider here. Usability and ease of maintenance should be a factor as well as swimming experience. The most common water treatment method for swimming pools is the introduction of chlorine into the water to kill any algae or pathogenic bacteria that grow in your pool water. This is usually combined with a sand filter for taking out particulate matter and debris. Chlorine is relatively effective at maintaining hygiene and clarity however there are some downsides. The first of which being the swimming experience. Chlorine dries out your skin and hair, stings your eyes and has a nasty smell and taste which most people find unpleasant. There are also a number of long term health risks associated with regular exposure to chlorine, which is unsurprising given the harshness of the chemical. You’ll also need to be good at monitoring chemical levels and dosing the pool with chlorine (or pay someone to come out and do it). If you wish to upgrade a pool’s filtration system there are a number of options open to you. Lowering the amount of chlorine used or removing it completely are certainly options worth considering as technology has moved on considerably over the last 10 years. There are a number of low-chlorine systems on the market which if well maintained will allow a slightly more pleasant swimming experience. However, these can often have a fairly high energy consumption and a maintenance regime which if not adhered to strictly, will lead to poor water quality. These systems are most suited to pool owners who have maintenance staff that are trained to monitor the chemical levels regularly and people who don’t mind a big energy bill. The level-up from a low-chlorine system is a chemical-free filtration system such as the ClearSpring by Clear Water Revival. This state-of the art-equipment has been developed to allow a mineral water swimming experience with low maintenance and low energy consumption. Using biofiltration, basic nutrients such as phosphorus and nitrogen that act as a food source for algae and pathogens are consumed by the filter leaving no food sources left in the water and a nutrient-free (oligotrophic) environment in which nothing can grow. Some of the benefits include a stress free maintenance regime with no chemical dosing or pH testing, a lower-energy pumping system due to lower water turnover rates, and most importantly a fresh, clean, invigorating swimming experience. Once you have a sound structure and have decided whether to upgrade filtration and pipework design, now for the fun bit, deciding how to make your pool look. There are a few main categories of pool finish to choose from and many options within each of these. Liner: Traditional old plastic liners should probably be discounted from your list if you’re reading this, however there are more high quality liner options which can be very well suited to a renovation job and will allow you to achieve a smart and subtle aesthetic at an affordable price point. 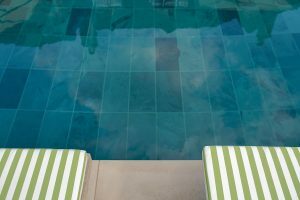 Clear Water Revival will often install dark coloured pool liners in a much thicker, more hard-wearing and generally better quality material than most off-the-shelf liners. These will give you a deep, natural water colour. Anthracite options will add a deep blue colour, whereas a black liner will offer a pond-like water colour. Tiled: Tiling a swimming pool will offer a very high-end finish if the correct tiles are chosen and installed by a skilled tiler. Natural materials can look fantastic as well as porcelains. Anything from natural slate to polished concrete effects can be achieved which give you the ability to be very creative. You will need a sound concrete shell with a smooth rendered finish and a waterproof tanking system. Stainless Steel: If your pool shell is in poor condition, stainless steel could be a great option for you. Stainless steel pools can be constructed within old concrete pools, provided they have a stable base to be built on and will give you a brand new, versatile pool shell that doesn’t require any extra finishes. 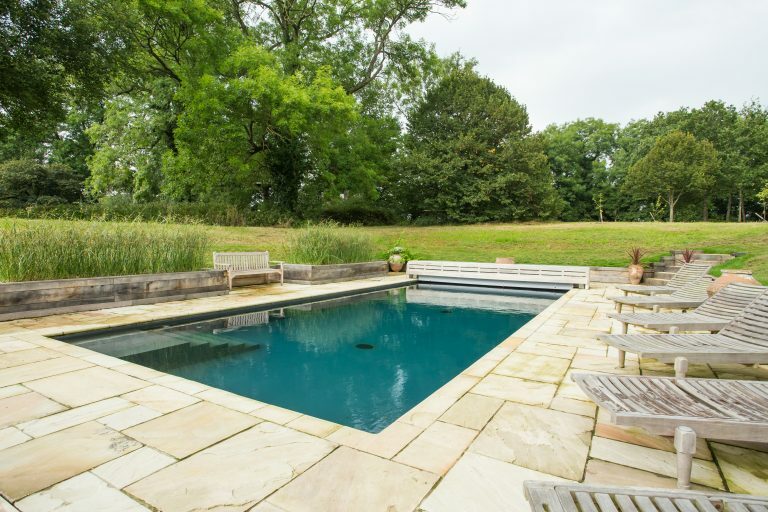 Instead you get a sharp, modern and unique pool finish. The appearance isn’t suited to every environment and lends itself to contemporary surroundings rather than traditional gardens, but definitely a great option in some circumstances. All of the above finish methods have positives and negatives so speak to your pool designer about which will suit your pool refurbishment project best. Old pools often have either a non-functional heating system or an inefficient expensive to run heating system. Sometimes on newer pools you may be fine using whatever is there already but it’s worth looking at upgrading if want a low cost, efficient heating system as part of your pool refurbishment. Anything from a gas boiler and heat exchanger, to an air source heat pump could be used. Renewables such as solar are also an option as well as ground source or water source heating. Your pool designer will be able to advise you as to the best option in your situation. Usually if there are no primary heat supplies already running to your plant room (for example gas or oil), the most straightforward approach is to install an air source heat pump which will be a very efficient heating method for most family sized pools. Heating the pool is one of the largest contributors to overall running costs so make sure you consider return on investment over time as there are usually great opportunities to make long term saving by upgrading a heating system as part of the pool refurbishment. Heating your pool efficiently is one thing, but retaining that heat is just as important when looking at keeping running costs down over time. 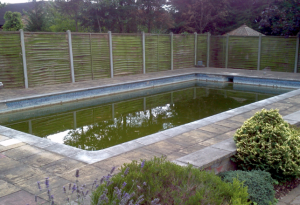 An uncovered swimming pool will lose a lot of its heat through evaporation, so in order to minimise evaporation and retain heat, a cover, in contact with the surface of the water is what you require. This can be installed as part of the pool refurbishment. There are all sorts of pool cover available and really only 3 factors to consider, aesthetics, heat retention, and safety. This will govern your choice. 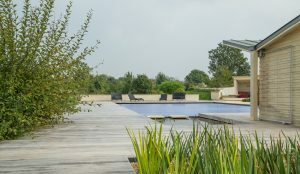 Aesthetically, pool covers don’t tend to be the focal point of a garden design, however there are smart, subtle options which will provide great performance without offensive looks. If possible, it’s best to keep your cover reel concealed so that when your cover is off, it doesn’t detract from the aesthetics of the pool. You can build a concealed cover enclosure in a number of ways either as part of the pool structure itself or within an in-pool feature such as an underwater bench at one end of the pool. The above can be done with either a slatted cover or a safety cover. Slatted covers are the best in terms of heat retention as they are always in contact with the surface of the water and will minimise evaporation. They are also available in a solar version which has a transparent slat with a black underside which acts as a solar collector and transfers the sun’s heat into the pool water very effectively. Safety covers are designed less for heat retention and more for preventing people/animals falling in. Whilst a slatted cover won’t envelop you if you fall onto it, a safety cover is the belt and braces option when it comes to stopping accidents. They have a track and runner system which allows you to effectively zip the pool completely shut. If neither of the above options are possible, a thermal bubble cover or foam cover will a do good job of keeping debris out and heat in, although from an aesthetic point of view they aren’t great and safety can be an issue. 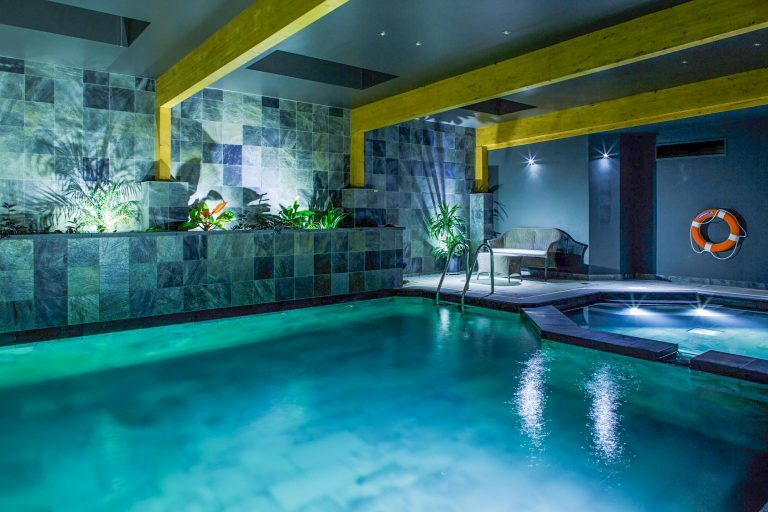 To top-off your pool refurbishment, you can consider a range of extras such as massage jets, counter current machines (to swim against) and underwater speakers. 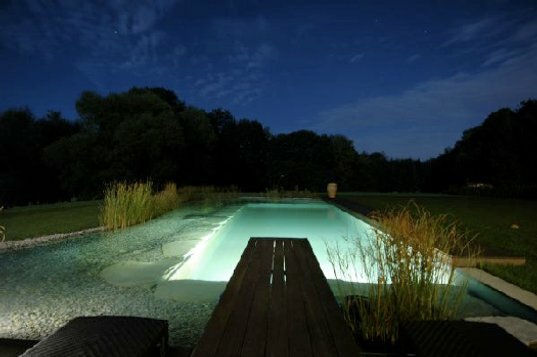 It’s also nice to introduce a sleek lighting scheme to maximise the pool’s appearance when the sun goes down. In order to highlight and compliment a high quality pool finish, a lot can be done with lighting. Often it’s best to go for a subtle glow rather than anything too bright and in-your-face. A good way to do this is to position your lights so that they shine away from you so that you see the glow rather than the light itself. All of the above information will hopefully help you to understand a few of the basic options available to you, however this is just skimming the surface in terms of what you can do to transform you pool. 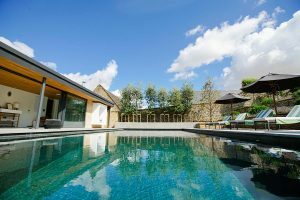 The most important thing to do when renovating a pool is to enlist the help of a swimming pool refurbishment specialist and get a detailed design drawn up before starting any works. 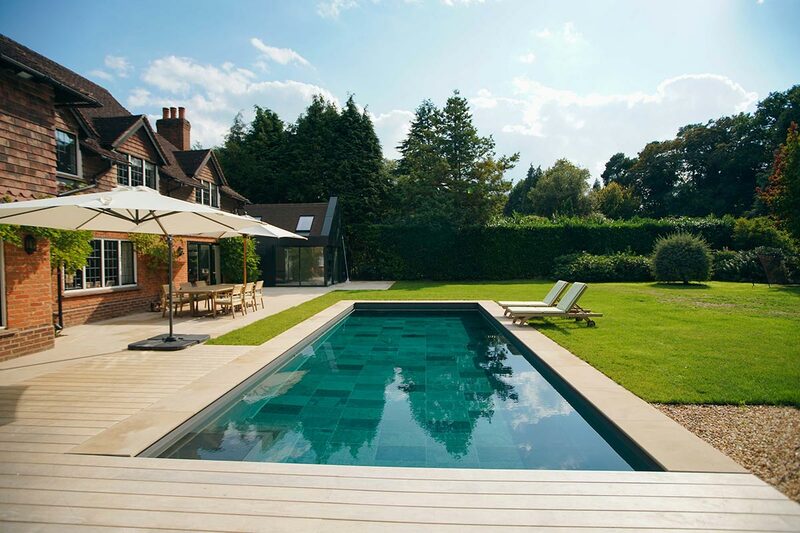 Swimming pools require high levels of precision in order to achieve quality. There are many specialist pieces of equipment and best-practices which require experienced input and attention to detail. Make sure you save yourself the hassle (or the nightmare) of cutting corners. If you are looking at renovating a swimming pool and want to speak to a swimming pool refurbishment specialist for some advice, call us on 01179232588.